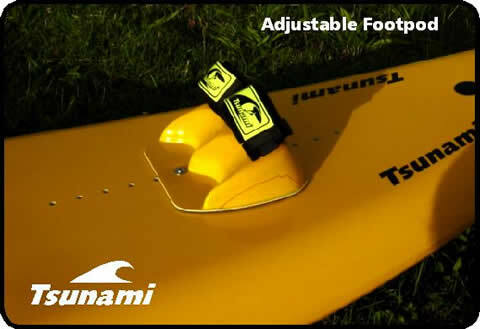 Tsunami Production Waveskis come in a choice of colours and graphic options. 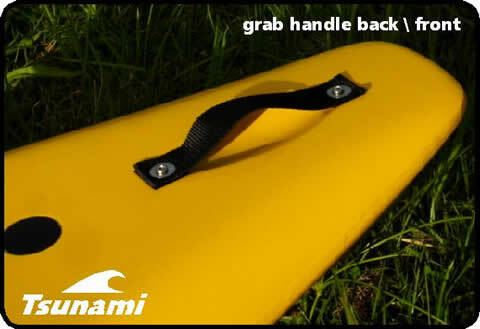 They are fun and easy to ride, sure to give the rider hours of enjoyable surfing and many years of fun. If you are a beginner to waveski surfing our moulded production waveski's are tough and lightweight and will stand up to the rough and tumble of learning to paddle and surf. 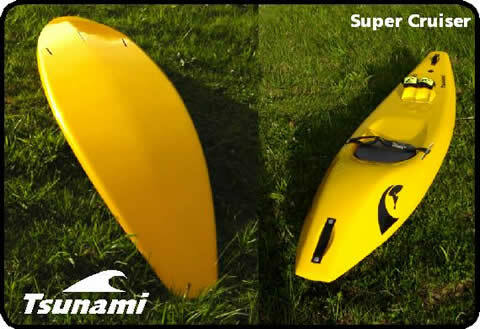 Tsunami waveski's are also designed for flat water paddle fun, towing the long-line out and for fishing off in the right conditions. So..... if this is your first look at waveski surfing, if you want something versatile for the family or you are returning to the sport, check out our production waveskis. 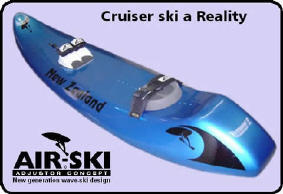 The Super Cruiser has been designed as an all round waveski. 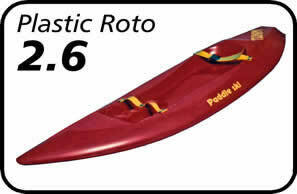 It is a very stable entry level ski that makes learning to waveski fun and easy. Leg length is fully adjustable to suit different sized riders from adults to teenagers. It is a good family waveski. 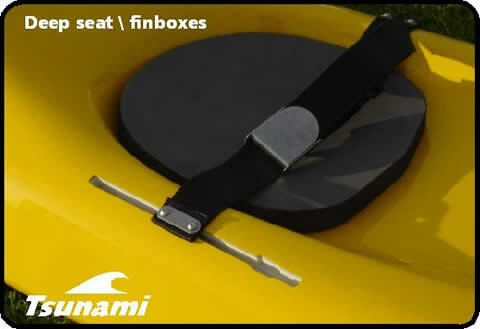 Posture and leg length are catered for by using Tsunami's new 'Adjustor' technology. It is easy to use so everyone gets to join in the fun. The Deep seat makes for a low centre of gravity and with plenty of buoyancy paddling out on this waveski makes crunching through the surf easy. This ski is surprising nimble for it's size. Learning to read and ride the waves will now be easier than ever before. We have added strap handles back and front to aid in recovery and safety for when mother nature decides it's time for you to swim. 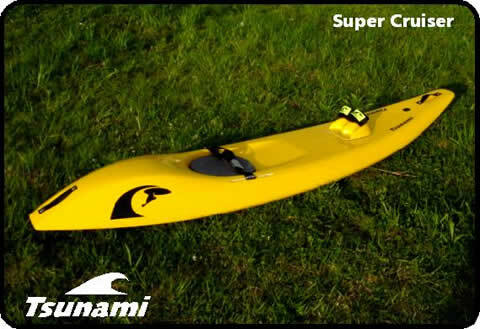 With the Super cruiser re-sale problems associated with standard waveskis have all but gone. As this ski can fit anyone. Beginners Ski - 8' 7"